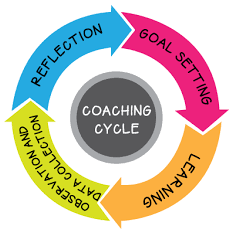 What does a coaching cycle look like? 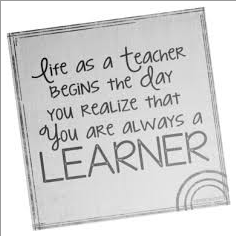 I work in partnership with teacher to grow their implementation of best practice. I don't evaluate or make judgements. Our goal is the same. Student growth. Together, we analyze student work, identify trends, and make instructional decisions based on student data. The most important piece of a coaching cycle is the reason why the cycle exists. The students. A cycle begins with a student goal. What do we want our students to be able to do? Once a goal is set, we set a 4-6 week plan. I want my students to be able to make reasonable claims and support them with evidence. I want my students to be able to us dialogue correctly. I want my students to be able to make inferences about a character. I want my students to be able to write a persuasive argument. I want my students to spell multi-syllable words with double consonants correctly. I want my students to be able to ask and answer questions effectively. I want my students to write effective leads in an informational writing piece. I want my students to be able to recall numbers that make 10 quickly. I want my students to be able to draw conclusions from their observations. I want my students to be able to compare fractions. I want my students to be able to add and subtract decimals.